This town with a population of seven is little more than a few guesthouses, a train station and a pub on the edge of the Flinders Ranges in outback SA. Parachilna would be a blink-and-miss-it town, were it not for the iconic Prairie Hotel offering up some unusual pub grub. There’s no chicken schnitzel here; instead, you can order up a Feral Mixed Grill of camel, wallaby, roo and goat on mashed potatoes and gravy. 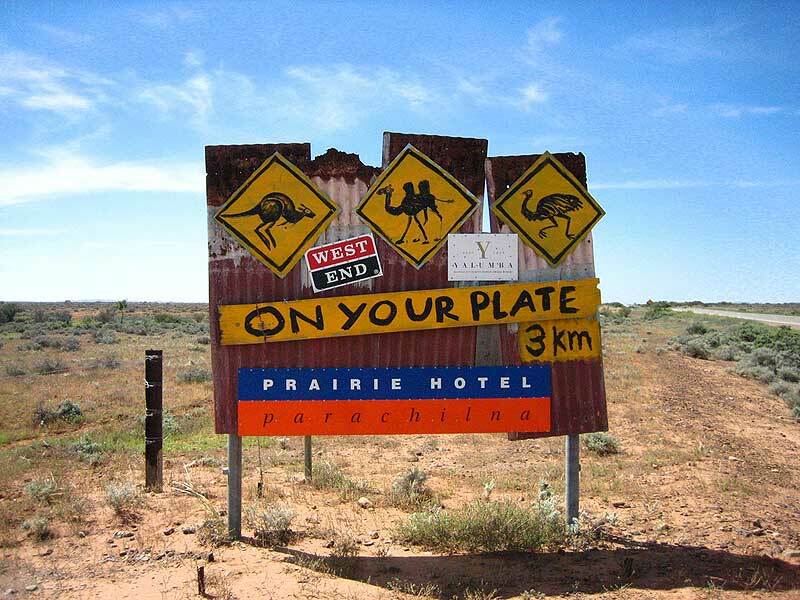 If that doesn’t take your fancy, there’s always emu and damper, as well as normal rabbit, beef and sheep – as well as native fruits for dessert. 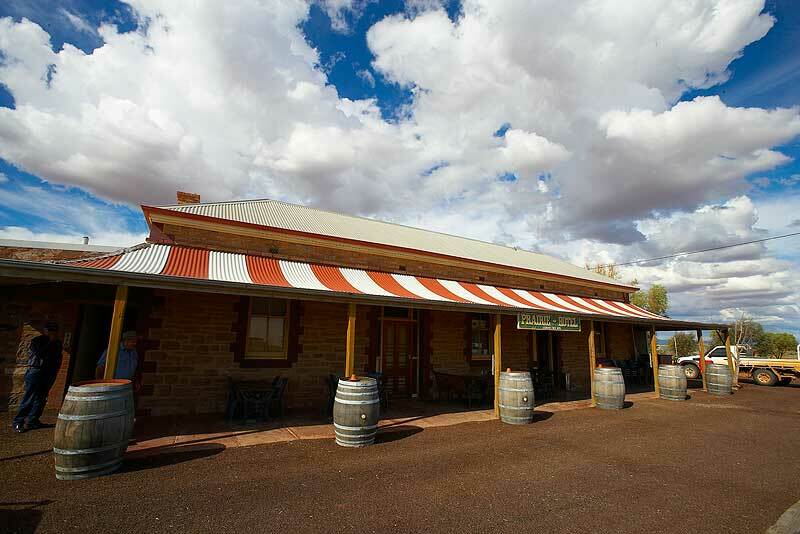 Food is served in the restaurant, but many enjoy sitting on the balcony enjoying a cold beer with the flat red desert plains stretching off into the distant Flinders Ranges. Another spectacle is the coal train that’s so long it takes a full five minutes to pass through town on it’s way to Port Augusta every night, making the town shake and rumble as it passes. Just a 30min drive from the striking Parachilna Gorge in the Flinders, Parachilna is a great place to start a journey into Australia’s deep outback. Where? // 470km (5hrs) north of Adelaide. Did you know? // Popular with filmmakers, scenes from Gallipoli and Rabbit Proof Fence were filmed here, and the owner of the Prairie Hotel moonlights as a production liaison and location scout, also serving as second unit assistant director for Rabbit Proof Fence.